The Goodlaff Bride: Say Cheese! We talked to Mike Jensen, of Jensen Photobooth out of Sacramento, got prices, delivery information, and as you can see, we got to try it out. I have to tell you, by the eighth frame, I was completely sold. See, this wasn't just any photo booth: This booth can hold anywhere from one to six people, and each user can choose black and white or color prints. The booth prints a strip for you and one for your guests, and after the wedding, all pictures taken throughout the night are sent to you on a DVD; if that wasn't enough, with a password, the pictures are all available online after the wedding for you and your guests to see. Oh, man. 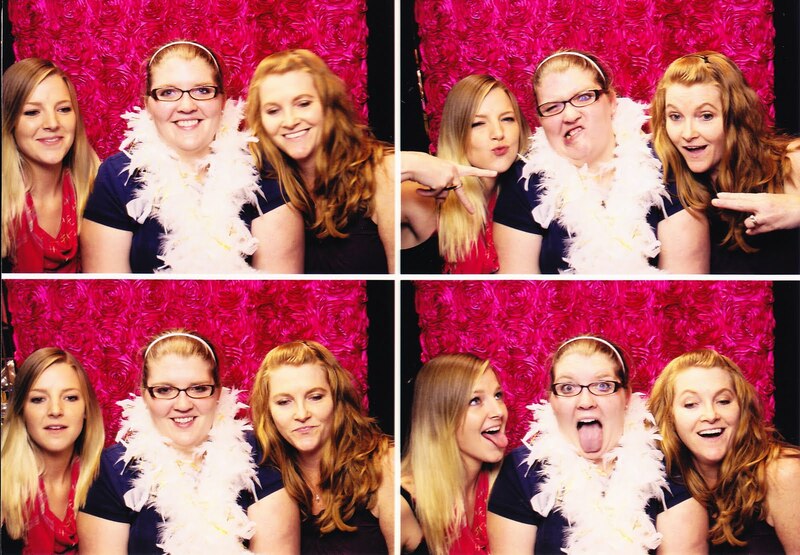 I walked away from the bridal fair inundated with details but knowing one thing: we had to have a photo booth. I came home, bag full of goodies, head full of plans, and showed Mr. Goodlaff our pictures from the booth, the price sheet, and babbled on and on about the features and high points and asked what he thought. He thought it was just okay. 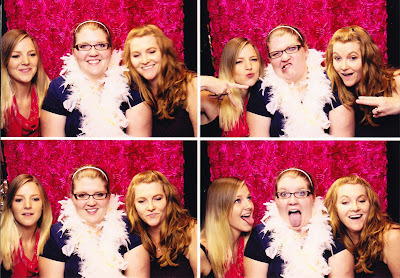 From there, the Photo Booth 2011 campaign began. I talked about the possibility of a photo booth at the wedding with a lot of people, especially when Mr. Goodalff was present. Time after time, the response was overwhelmingly positive. Seeing the fact that people would use it, coupled with my irresistible puppy-dog eyes, Mr. Goodlaff finally gave in and we booked the photo booth. Of course, a month or so after we booked the booth, I read online that a ton of brides are DIY-ing their own Faux-to Booths. I love the concept (and the price) of the homemade booths, but I've learned that in the DIY wedding war, you have to pick your battles, and this was one I'm sure I would have lost. Sometimes, it's best to leave it to the professionals. 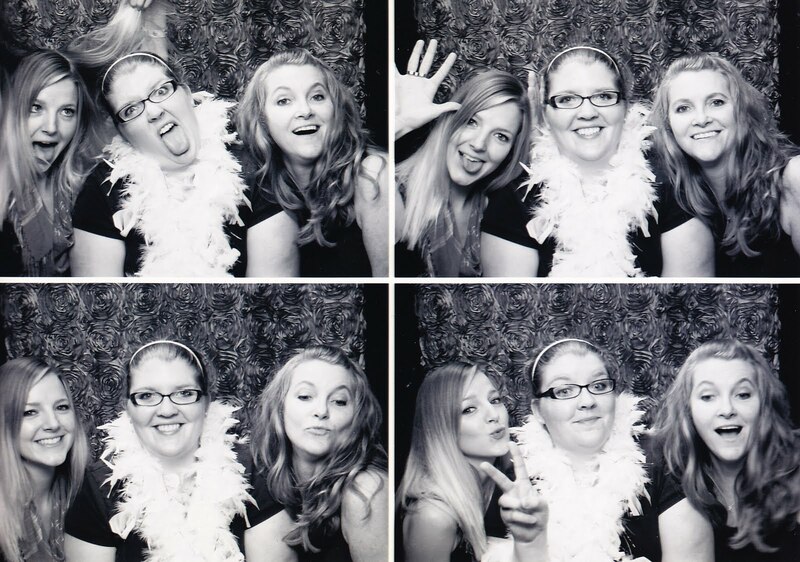 I can't wait to see our guests having fun and taking pictures in the photo booth, and in case they need a little bit of encouragement, we'll be setting it up right across from the bar. I only hope there's enough time for Mr. Goodlaff and I to get in there and snap a few pictures ourselves! Was there any item for your wedding that you really wanted and had to do a little wheedling (or whining) to get?